Wilcox performs drone mapping and 3D modeling for the Town of Speedway Redevelopment Commission. - Wilcox Environmental Engineering, Inc.
Wilcox performs drone mapping and 3D modeling for the Town of Speedway Redevelopment Commission. 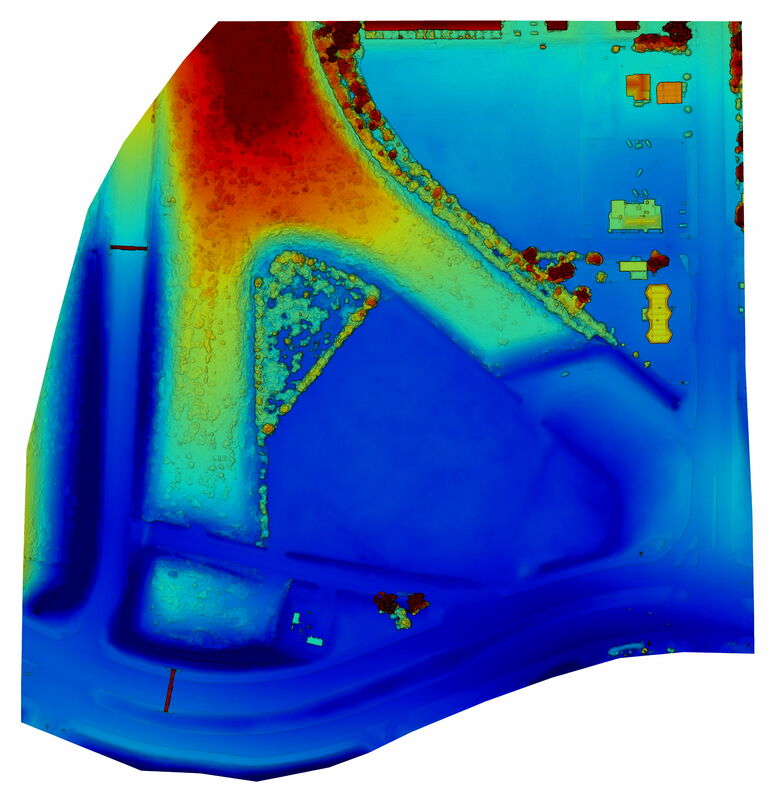 In early July 2018, Wilcox deployed our drone and generated high-resolution aerial imagery, a topographic map and a 3D model used to assist the Town of Speedway Redevelopment Commission in making planning decisions for the project referred to as 2500 North High School Road. The 2500 North High School road project is bordered to the west by I-465, south by Crawfordsville Road and to the east by North High School Road. This currently vacant area of land is a key gateway property for the community of Speedway and is currently in the conceptual design phase for the planned redevelopment. Aerial images from the drone mission were shared and utilized during the public input session held on July 9th. The public input session was well attended, and many Speedway residents shared great ideas for the future redevelopment of the area.